Cell phone stun guns are one of the best devices for self defense. They do not look like a standard stun gun, have a high voltage, and they are very effective for providing personal protection. 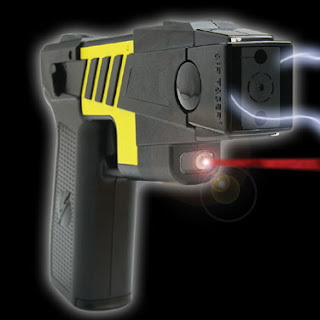 Stun guns were designed to provide personal protection. They are non lethal and they provide self defense for people who may be facing a possible attacker. They are not harmful in any way and cannot kill someone. The biggest problem with stun guns is that people who use them often shove them in their purses or briefcases and when they take it out it is obvious in appearance the person has a stun gun. This can cause an attacker to try to get the device from you and use it against you. Most people carry stun guns in their purse or somewhere it is difficult to get to the device when they need it the most. These are usually cases where the person had the stun gun on them but they never were able to use it for their self defense. The cell phone stun guns look exactly like real cell phones. They are fantastic because a person can wear the stun gun on their belt with the phone clip attached and it looks completely normal. However, if you should actually go to dial a number on this phone it will be the attacker getting a ton of voltage into their body. They weigh less than a pound and will send about 900,000 volts into the human body. Again, this will not hurt the body permanently but it is enough to disable the assailant physically so that you can get away. The cell phone stun guns are one of the best options for self defense because they are based on the surprise factor. They can clip on your belt, purse, and you can keep them on the sun visor in your car. They are very easy to use and very effective for protection. Most people have time to grab their cell phones when an attacker approaches but they don't have time to dial 911. You don't have to do anything but pull out the phone and press the button to deliver the volts to the attacker. A criminal will not see it coming but instead think you are trying to call the police. One thing to keep in mind with stun guns is that you have to physically press the device against the body of the attacker. If the stun gun is not activated long enough they are not always effective if an attacker is under the influence of heavy narcotics or drugs. The body type of the person is always a factor also. The good thing about the cell phone stun gun is that it delivers the largest amounts of volts so it is one of the most effective. When you use stun guns for self defense an attacker usually knows exactly what one looks like. The appearance may scare off the criminal but if it doesn't he or she may try to get it from you and use it on you. When you use a stun gun that looks like a cell phone or any other device, then this surprises the criminal and allows you to use it more quickly and effectively. Jim Wilkinson is the Vice President of www.YourGreatestProtection.com. He has a background in Law Enforcement and Safety. He knows what is effective to help keep you, your family and your home safe. His firm offers a variety of reasonably priced personal protection products such as TASERs, stun guns, pepper spray and hidden cameras.